Around 80,000 members of the British public travel abroad each year for low cost, high quality cosmetic treatments. The top 5 cosmetic treatments abroad include breast augmentation, eyelid surgery, liposuction, rhinoplasty, and breast reductions. Dental treatments abroad are another popular option due to the huge savings that can be found by travelling to countries such as Hungary and Slovakia. A number of factors are contributing to why UK residents go abroad for cosmetic surgery. No doubt the opportunity to save hundreds if not thousands of pounds is a major factor. UK residents are able to jet off abroad on package holidays, have cosmetic surgery, and still be able to save money rather than simply having the same cosmetic surgery in the UK. The shortage of NHS dentists is another reason that dental treatments abroad have become extremely popular. 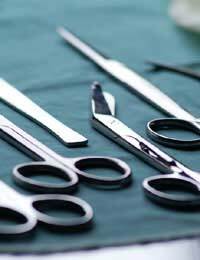 Horror stories have been reported in the media about botched cosmetic surgery treatments abroad. But according to a survey undertaken by a leading medical service provider, 97% of people questioned in the survey said that cosmetic treatment abroad was a positive experience. Using the services of a medical provider should be one way to ensure a problem free experience. Medical providers should have carefully vetted their surgeons and the clinics abroad. They should also offer guarantees such as free return flights, accommodation and treatments should anything go wrong after patients have returned to the UK. Comparing the cost of the top 5 cosmetic surgery treatments in Britain and abroad should give some indication as to why more and more people travel abroad for surgery each year. Treatments abroad are usually two to three times lower than the same treatments available in the UK. For instance liposuction in the UK can cost between £1,500 and £5,000. If you were to travel to Belgium this price would drop to around £900, and in Hungary it would drop to around £500. These price cuts can be found in all of the top 5 cosmetic surgery comparisons. Is the medical clinic regulated by any official agency? What are the risks involved with the particular surgery you are intending on having? What levels of aftercare are provided? Are there any dangers in travelling after surgery? What guarantees are there for additional surgery should anything go wrong? What are the surgeon’s success rates for particular treatments? One thing that should be remembered by patients who are having cosmetic surgery abroad is that they can always change their mind. If a medical service provider is to be used then they should be asked about refunds should the patients decide not to go ahead with the treatment. Cosmetic surgery is a major operation, and if a patient has doubts about the procedure they should not go ahead with it. As any surgeon knows, the patient comes first, and the surgeon should do their best to allay any fears before any treatments. With spiraling private cosmetic treatment costs and long NHS waiting lists there looks to be no decline in the amount of people travelling abroad for cosmetic surgery. Undertaking research on surgeons and clinics abroad, and using a reputable medical service provider should prove beneficial towards a safer surgery experience abroad.